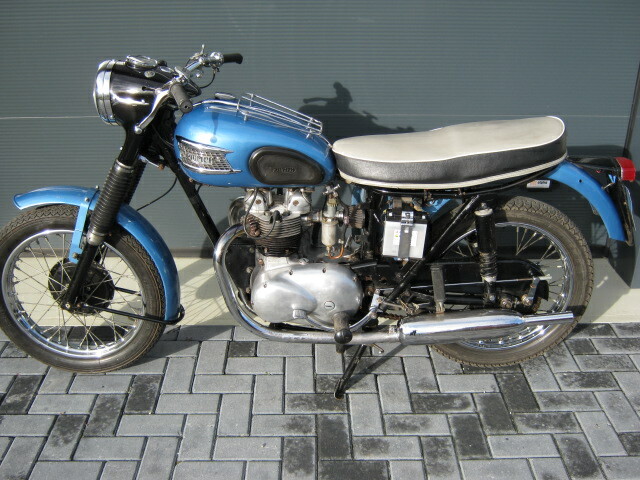 "Low budget Bonneville"....This ex-armybike was changed to civil version. 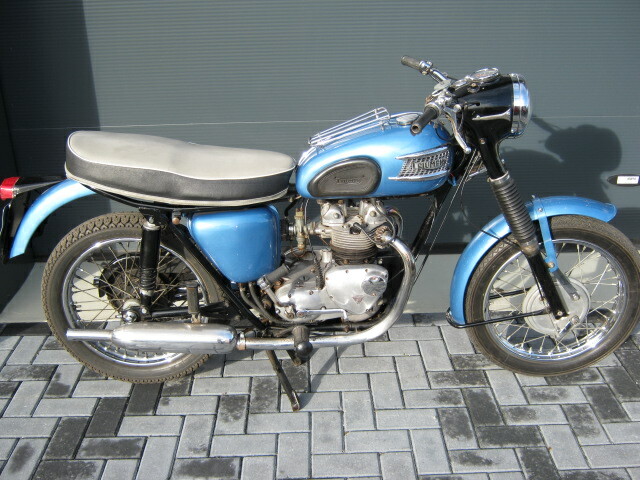 Looks great in its blue colour. Was standing for longer time but runs and rides well. Matching numbers and Dutch registration.